These photographs of New England are culled from the University of Louisville's archives of the Standard Oil Company of New Jersey. Under the direction of Roy Stryker, the company sponsored a photographic documentary project in the latter 1940s and early 1950s on the role of oil in the life of America. Photojournalists Esther Bubley, John Vachon, Gordon Parks, Todd Webb, and others interpreted the assignment as a documentary on the life of the era, with or without the Esso sign. 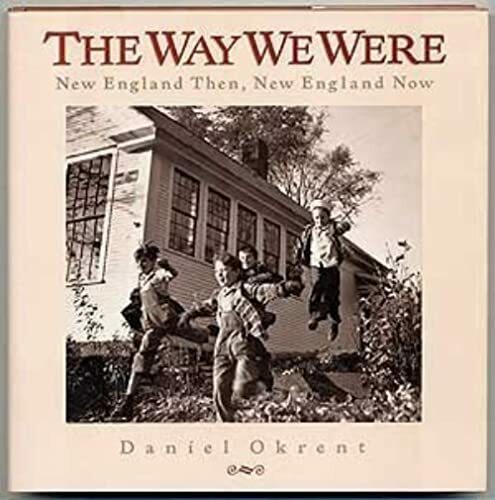 Okrent, the editor of New England Monthly , visited the towns and the descendants of those originally portrayed and relates the fates of farms, family stores, and lives from an "America at the last moment before television, before suburbanization, before the enormous democratizing force of the GI Bill was fully felt." His observations provide a link to the real focus of the book: the strong and evocative black-and-white photographs of Americans at work and play from another era. - Ann Copeland, formerly with Drew Univ. Lib., Madison, N.J.